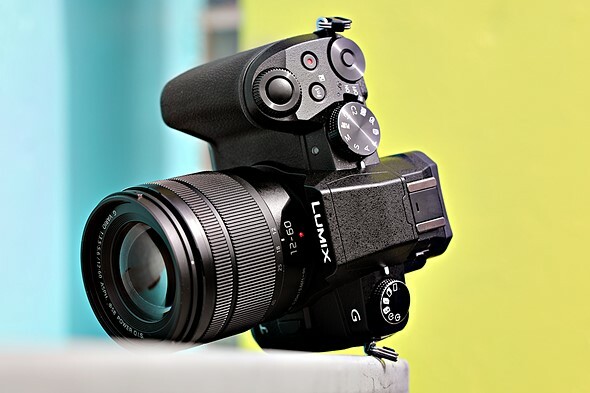 The Panasonic Lumix DMC-G85 is an SLR-style mid-range mirrorless camera. It features 4K video capture, 2nd-generation 5-axis image stabilization and a 16MP Four Thirds sensor with no optical low pass filter. A sister model, the G80 will be available in other markets. Though Panasonic has not come outright and said it, the G85 is the successor to the G7. More a refinement than something new entirely, both cameras share seemingly identical bodies and offer twin control dials, plenty of customizable buttons and fully articulating touch interfaces. But the G85 is rather more grand: it’s weather-sealed with a magnesium alloy front plate, and offers a new electromagnetic shutter to combat shutter shock, an upgraded electronic viewfinder and 5-axis in-camera IS. Like the Panasonic GX85, the G85 uses a 16MP chip with no anti-aliasing filter. We found image quality from the GX85 to be slightly improved over that of past Panasonic cameras using the same 16MP chip with AA filters (like the G7). The G85 also uses the same redesigned shutter mechanism as the GX85, which we found to effectively mitigate shutter shock, an issue that affected the Panasonic G7. Sensor-shift (5-axis) + Dual I.S. 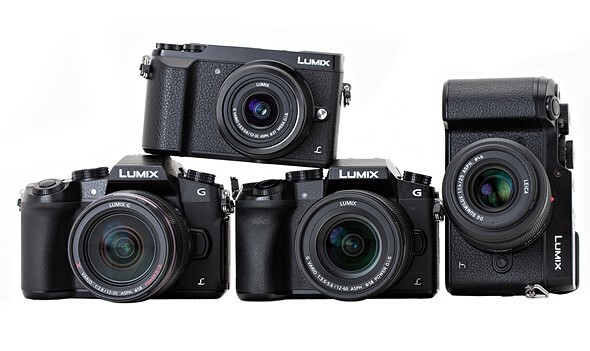 While the three Panasonic cameras compared above share quite a lot, the G85 stands out against the other 16MP Panasonic’s as the most appealing choice. This is due to its inclusion of weather-sealing, an updated Dual IS system and upgraded electronic viewfinder. When compared to similar mirrorless offerings from Sony and Olympus, things get a bit more complicated. The Sony beats it in terms of its more sophisticated AF system, larger sensor and faster burst (w/ AF), but the G85 offers superior ergonomics (fully articulating touchscreen, dual top-plate control dials, higher magnification EVF). The G85 and EM-5 II also share quite a lot, the major distinction between the two being the G85’s 4K video capability (compared to 1080p on the Olympus). The whole Panasonic gang, including the Panasonic G85, GX85, G7 and 20MP GX8. The Panasonic G85 will be available in the US for $899 body only and $999 with 12-60mm F3.5-5.6 Power O.I.S. kit lens. The optional DMW-BGG1 vertical battery grip adds an additional shutter release and improved ergonomics, as well as room for a second battery, effectively doubling shooting time.